Hey folks from last week were are hearing and telling you about Apple is up to something and making a new iPhone which will be called iPhone Nano. 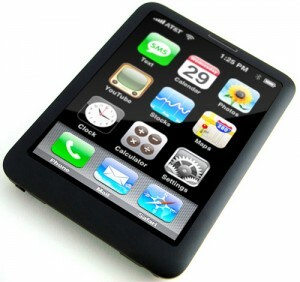 Apple is said to make the new iPhone against it’s competitors and it will be contract free and it will cost around $200. Ellen DeGeneres is a Host and Executive Producer on television. She does her own show called “The Ellen DeGeneres Show”. You can read more about her from here. In her show he demoed an iPhone dummy and what she expects is that the iPhone Nano will be exactly the same she showed. lol. The video was really awesome and she did a great job and she gave a new concept on how the iPhone Nano could be. Except the Antenna part the Keyboard one was a good idea. What you peeps say?